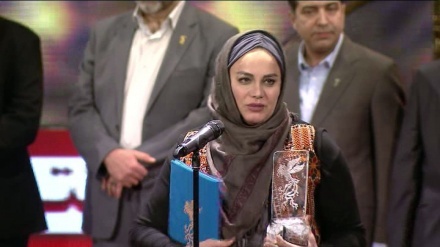 Winners of 37th edition of the Fajr Film Festival were awarded at a special closing ceremony at Tehran’s Milad Tower. 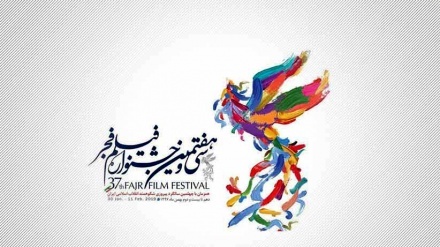 Iran Press/Iran news: The 37th edition of the Fajr Film Festival came to an end on Monday in a special closing ceremony held at Tehran’s Milad Tower, where the winners were honored and given prizes and awards. Twenty-two movies went on screen in the official competition of the festival. 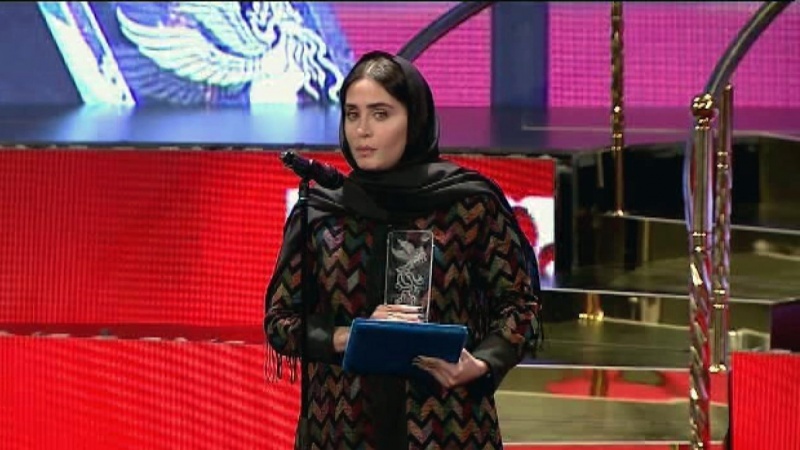 The feature film ‘Night of the Full Moon’ directed by Narges Abyar and produced by Mohammad-Hossein Qassemi won this year’s top prize, the Golden Simorgh for best film, and Abyar also received the award for the best director, according to an Iran Press report. The award for best actress and best actor in a leading role went to Elnaz Shakerdoust and Houtan Shakiba respectively, both for ‘Night of the Full Moon’. 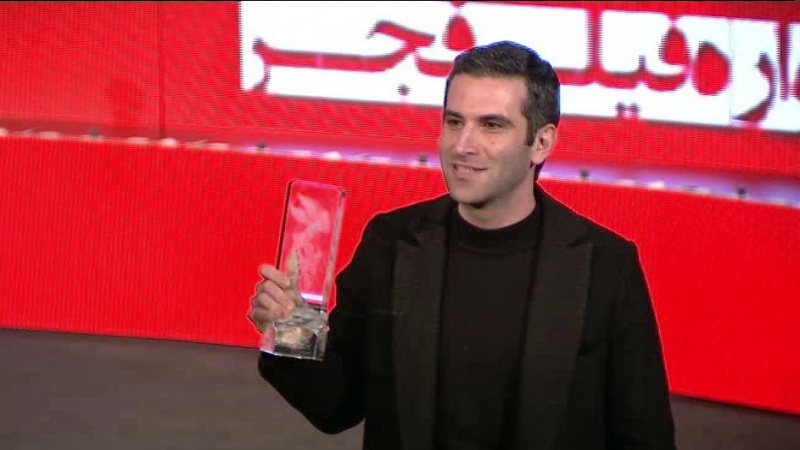 Javad Matouri was awarded the best visual effects prize for ‘Buffoon’. Iman Karamian for ‘Midday Adventures: Trace of Blood’ won the best special effects award. The best makeup award was presented to Iman Omidvari for the film ‘Night of the Full Moon’. Keyvan Moqaddam received the best stage design award for the film ‘Takhti, the World Champion’. Best sound recording and best sound mixing awards went to Iraj Shahzadi for ‘6.5 per Meter’ and Mehrshad Malakooti for ‘Midday Adventures: Trace of Blood’, respectively. Best music award went to Amin Honarmand for ‘Qasr-e Shirin’. 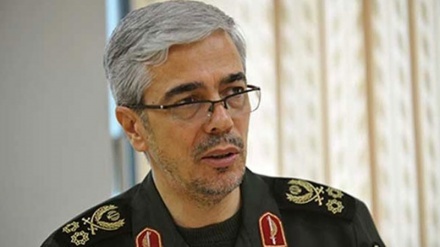 Bahram Dehqani won the best editing award for ‘6.5 per Meter’ but the film’s producer Sadataian received the award on behalf of the winner. 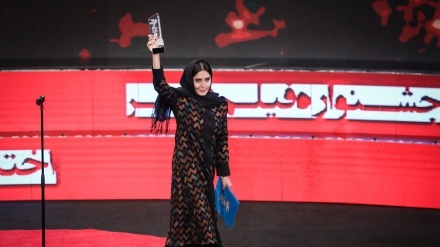 Fereshteh Sadr-Orafaei won best supporting actress for ‘Night of the Full Moon’ beating out Zohreh Abbasi, Zhila Shahi, Niusha Alipour and Pantea Panahiha who were also nominated. Veteran actor Ali Nassirian, 84, won the best supporting actor award for ‘Buffoon’. Best animation award went to ‘The Last Fiction’ by Ashkan Rahgozar. Homayoun Ghanizadeh received the best film in Art & Experience Cinema section for his film ‘Buffoon’. Mohsen Qaraei and Mohammad Davoudi for ‘Qasr-e Shirin’ picked up the best film script award. Audience award best film went to the film ‘6.5 Per Meter’ by Saeed Roustaei. 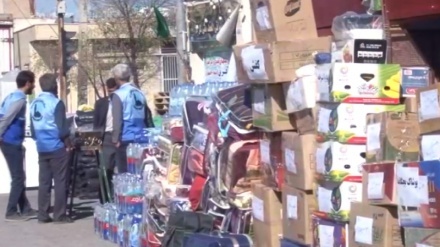 The jury composed of filmmakers Mohammad-Ali Bashe Ahangar, Mohammad Bozorgnia, Pooran Derakhshandeh, and Mohammad Ehsani, according to a Tehran Times report. 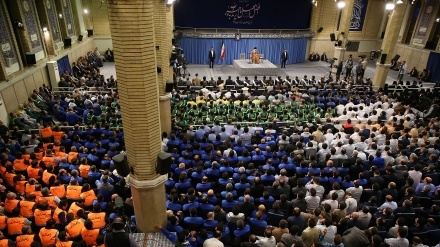 The 37th edition took place in Tehran and several other Iranian cities from January 30 to February 11. 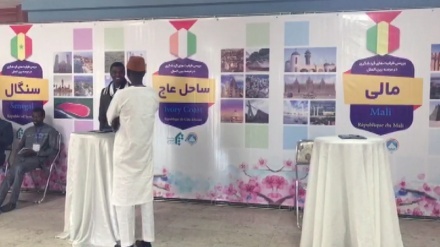 In the international section, annually held in April, hundreds of filmmakers from around the world apply to take part in the major contest.